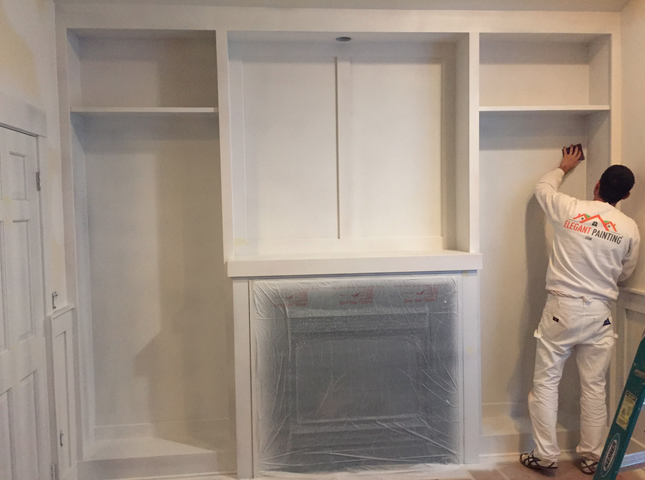 Our millwork painting process follows the paint manufacturer’s application instructions and produces a “factory finished” look and feel. 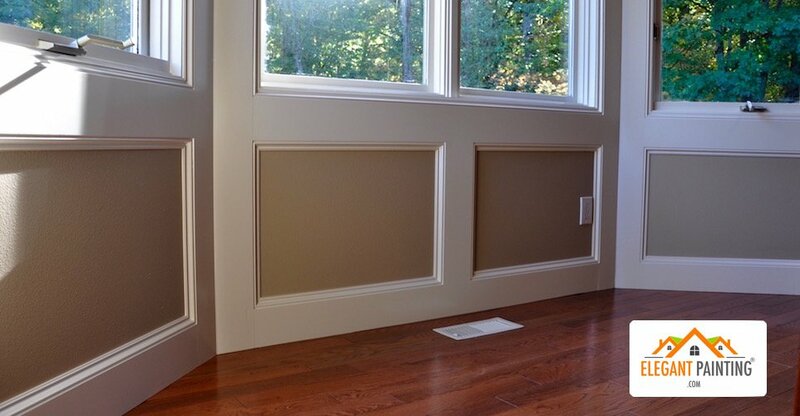 When we talk about painting millwork, we are referring to your wood or MDF doors, door casings, trim, wood windows, window trim pieces, baseboards, crown molding, and wainscoting. We protect any areas that are not being painted. We offer you a written guarantee that our team will not slop paint on any surfaces not being painted. Kitchen cabinets: Covered entirely with painter’s plastic to prevent splatters or overspray. We begin by sanding all surfaces with fine sandpaper to de-gloss or remove the sheen from the previous finish. Our de-glossing process considerably increases adhesion. Step 4. Removing the dust. A shop vac with a brush attachment is used to remove all sanding dust, then all millwork is wiped down with a lint-free cloth soaked in a de-glossing agent. 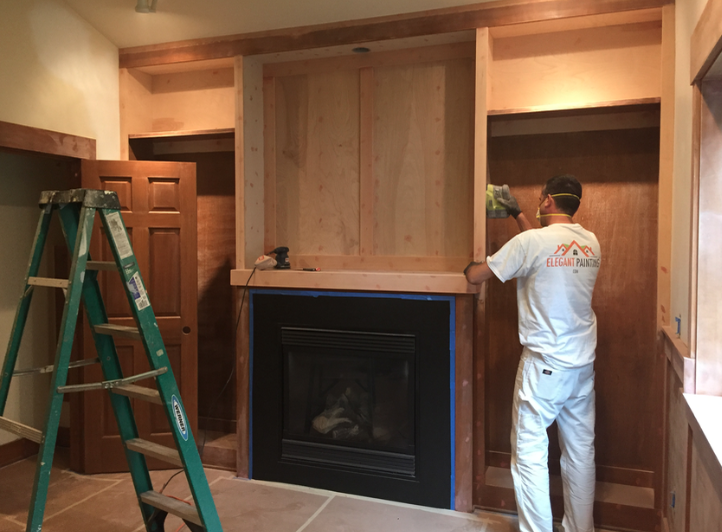 We apply one coat of fast-drying oil primer to any varnished or never-before-painted millwork. Everything is sanded one more time after the primer is dry. 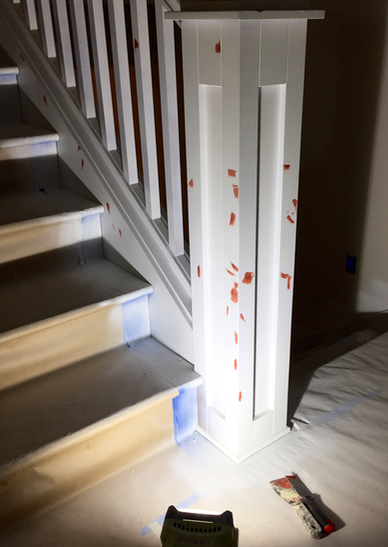 After primer, we perform a final inspection and address all imperfections. 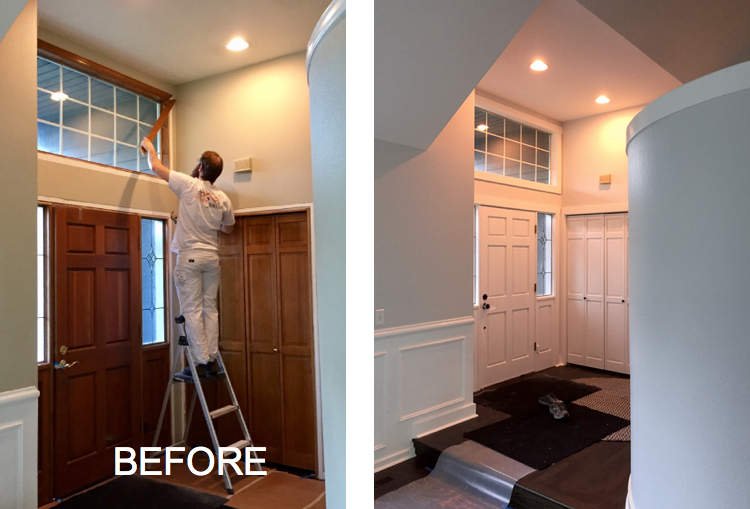 We use only the best millwork paint from both Benjamin Moore® and Sherwin Williams®. 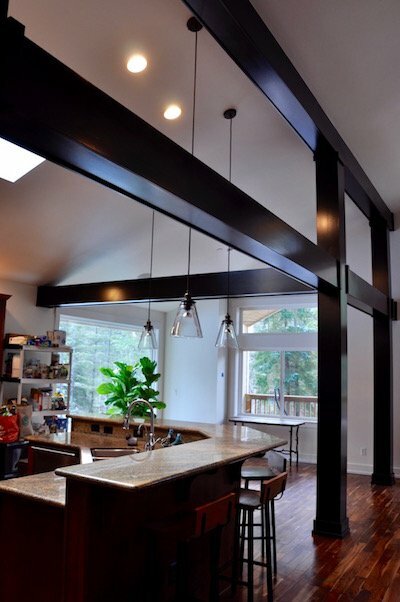 We achieve the smoothest- most durable finish using Airless and HVLP sprayers. We take our time with clean-up; making sure we leave your home cleaner that we found it!